Canadian Henry Seth Taylor reportedly built this steam buggy in Stanstead, Quebec in 1867. He may have purchased it from Sylvester Roper. Richard Stewart published an article in the May-June 1968 issue of Antique Automobile describing the finding and restoration of the Taylor vehicle. 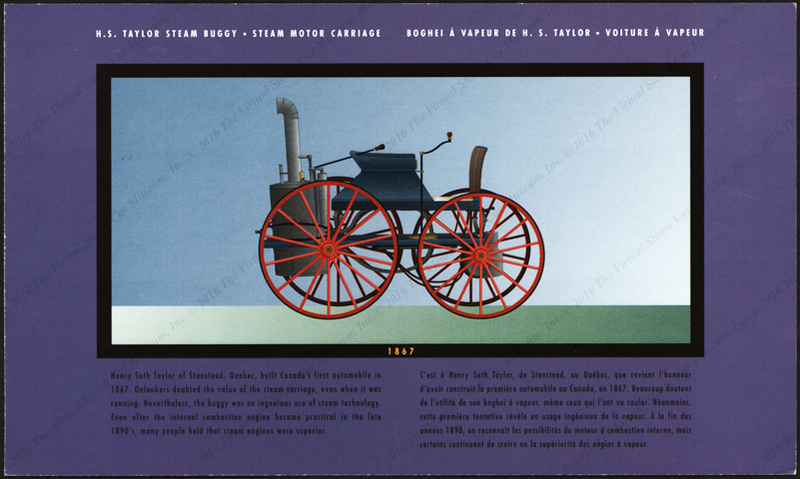 This image of the H. S. Taylor Steam Buggy is part of teh Car Portrait series produced by Automobile Quarterly Magazine in 1969. 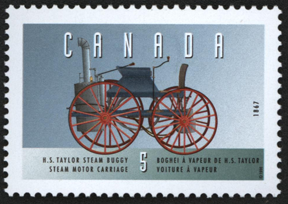 In 1967, the Canadian Government issued this commemorative postage stamp honoring H. S. Taylor and his steam buggy. 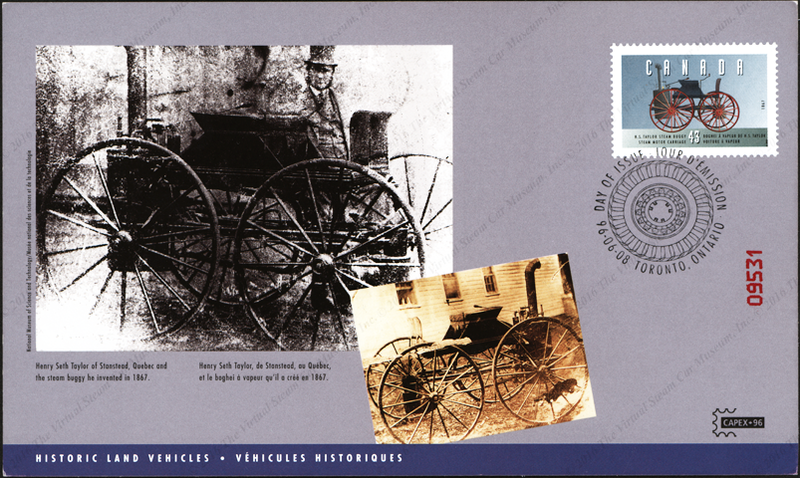 In 1967, the Canadian Government issued this commemorative postage stamp honoring H. S. Taylor and his steam buggy. This is the card that carried the stamp and some historical information. 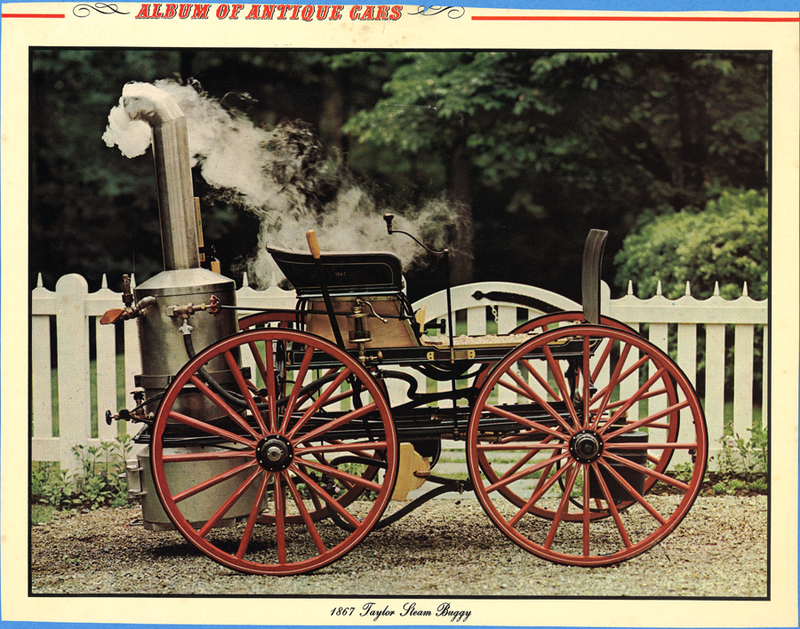 Hemmings Motor News ran this Taylor Steam Buggy item in its November 2014 issue. 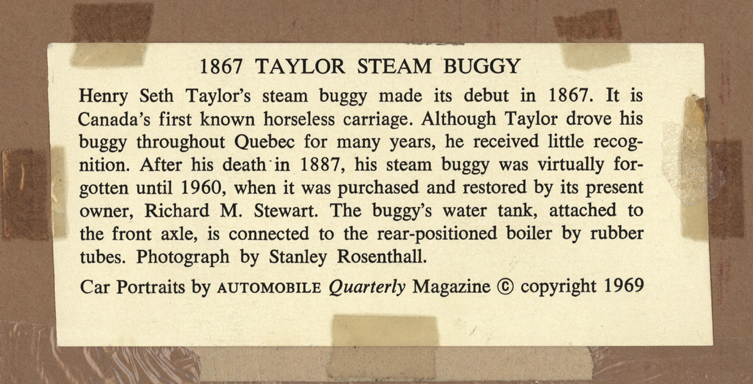 "The Forgotten Steam Buggy of Henry Seth Taylor," Automobile Quarterly, Vol. IV, No. 4. Don Hoke and Buck Boudeman Conversation, 2014.